Free Software and Open Source Software are not the same. 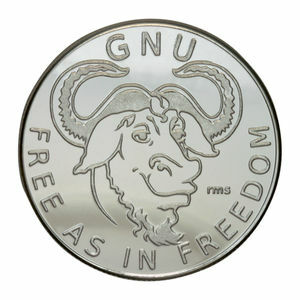 Free Software does not mean it comes free of cost but to study and change the source code or design. You have heard that, lot of companies now arriving in a different avatar for commercial purpose. They are dangerously abusing the users’ freedom, practically cheating with a subtitle like “Open Source Toothpaste Company”. Today it is very important to understand the difference between Free Software and Open Source Software. Free Software versus Open Source Software : Why We Need to Know the difference ? We need to know the difference between Free Software and Open Source Software as today and in next few decades, computing will become an integral part of the life. You can shut down your computer or mobile phone, but many devices you actually can not shut down. Heath sector and medical devices are such examples. To cite practical reason why we used the name Free Health Foundation NOT Open Source Health Foundation (Free Health Foundation has no relationship with Free Software Foundation except the idea of being free, the working spectrum is fully different), lies on the basic idea of what Richard Stallman actually defined by the word Free. If Open Source Software was the same as Free Software; that “Toothpaste Company” would have used the subtitle “Free Toothpaste Company”. Definitely I am not saying about Toothpaste but software related product or service. These Open Source company refuses or tries to avoid the moral ethics of defined by Free Software Foundation. There is practically no reason to use the phrase “Open Source” instead of “Free Software” except avoiding the legal and ethical points. You will not nothing to disagree with if you sell a product by modifying it. Open source license for a particular thing needs to be read carefully by the user, whether it comes free of cost or is non-free. There is difference between non-free and commercial. Usually some legal points are modified. OpenStack project for example, is distributed under the Apache 2.0 license, which is Free Software and compatible under GNU GPL 3.0. But when a company uses it, usually they changes some parts of codes or terms of usage / License and it becomes Open Source. There are ethical flaws in OpenStack though. It requires Launchpad account, which actually is a point where Ubuntu collects the data. Ubuntu means Canonical Ltd. Canonical Ltd means all data is going to Amazon. Its funny, but logically the thing becoming is – Rackspace is encouraging to submit data to Amazon unknowingly (from the users’ point). This isthe basic reason, why it is far better to use own login system, that is different point though. This Article Has Been Shared 6320 Times! Server OS and Desktop OS has differences. The same Operating System like Ubuntu is different on Server and on Desktop.Lets see Server OS and Desktop OS closely. Cite this article as: Abhishek Ghosh, "Free Software versus Open Source Software," in The Customize Windows, April 7, 2013, April 21, 2019, https://thecustomizewindows.com/2013/04/free-software-versus-open-source-software/.